Now is a golden age for children born with hearing loss. Thanks to universal newborn hearing screening and technological advances in hearing aids and cochlear implants, a deaf child can achieve the same outcome as a typically hearing child. Tragically, children with hearing loss born into poverty do not always share in these amazing gains. There exists a significant achievement gap mirroring their typically developing peers, but with more profound consequences. For low-SES children with hearing loss, it is their ability to communicate with the world around them that is at risk. A child’s early language environment plays a critical role in his or her listening and spoken language development. For children born into poverty, there is a well-documented inequity in their early language experience. By age three, disadvantaged children have heard approximately 30 million fewer words than their more affluent counterparts. This chasm is even greater for deaf or hard-of-hearing children in the low-income population, as these families are less likely to take advantage of their children’s auditory access or to create the optimum early language environment necessary for the best habilitation outcome. Project ASPIRE aims to close this gap. The foundation of Project ASPIRE is the science of behavior change. It is one thing for parents to understand that rich language, the use of verbal expansion, and the encouragement of conversational turns are critical for a child to learn how to talk. But how do we get parents to incorporate this behavior into their everyday lives? A behavioral intervention is the science of transforming knowledge into action. This is a fundamental tenet of our program. 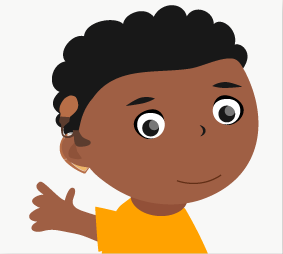 Project ASPIRE is an evidence-based, Early Intervention curriculum for parents of children with hearing loss who have chosen a spoken language communication option. It is a family-centered program, at the core of which is the belief that when all else is equal, and appropriate auditory access exists, it is a child’s early language environment that ultimately determines the child’s success. The Project ASPIRE curriculum takes a hierarchical approach to listening and spoken language but is differentiated from other programs by an innovative multimedia platform and the technology of the LENA word pedometer. Using the home visiting model, the html-based, 10-module curriculum is comprised of education, animation and video. The education component transforms hard science into easy-to-understand concepts. Animation illustrates the concepts to make them more memorable. And video of parent-child interaction brings the concepts full-circle by showing parents how to apply them in real life. Video modeling is also part of the home visit. Both therapist and parents record themselves implementing behavioral strategies and review the video for immediate and constructive feedback. The technology piece of the curriculum comes in the form of quantitative linguistic feedback gathered from weekly recordings of a child’s language environment by the LENA. The resulting data is shared with parents as a tool to both motivate and set personal goals. Project ASPIRE was created with a standardized format to aid in fidelity of implementation, but it is also easily adaptable by therapists to meet the individual needs of each family. Project ASPIRE represents a six-year iterative development process, a process that will undoubtedly continue. The program has evolved through extensive formative testing and feedback from our target population and end users (parents and EI therapists), significant pilot testing, and the involvement and input of a diverse and dedicated group of professionals. A pilot study of Project ASPIRE, funded by a grant from the Department of Education, Institute of Education Sciences, is currently underway. 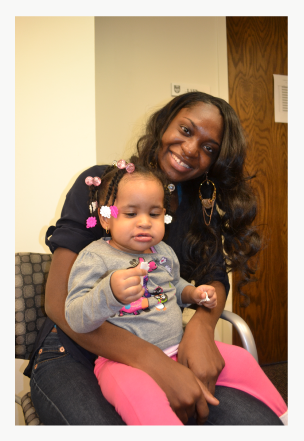 Using a quasi-experimental design, the study is comprised of 32 families in the Chicagoland area and includes a post-intervention follow-up at 3 months. Next steps for Project ASPIRE include a longitudinal, multi-institutional study to further test the program’s efficacy. We also plan a Spanish translation of the curriculum, adaptation for telemedicine, and continued professional development. While there is no silver bullet to end poverty, we hypothesize that Project ASPIRE as a public health initiative will, with each increase of parent knowledge, come closer to ending the cycle of disadvantage and, most importantly, allow children of poverty who are deaf or hard-of-hearing the opportunity to reach their potential is.